ALBANY, NY (WSKG) – Demand for natural gas is growing across the Northeast. 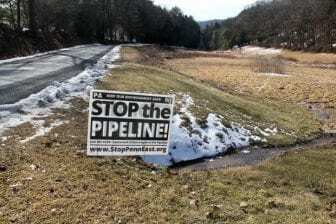 Meanwhile, natural gas production is booming in Pennsylvania. Connecting the two requires building pipelines across New York state — something Gov. Andrew Cuomo and the Department of Environmental Conservation have persistently blocked, declining to grant the necessary water quality permits. Darren Suarez with the Business Council of New York says three pipeline projects in particular — the Millennium, Constitution, and Northern Access pipelines — have been stalled by New York water quality reviews.